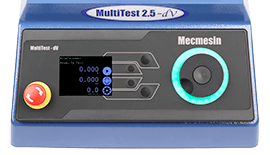 Our entry-level Wire Terminal Strength Tester (WTST-dV 2.5 kN) provides a cost-effective solution for performing pull-out tests on crimped, soldered or ultrasonically-welded joints. 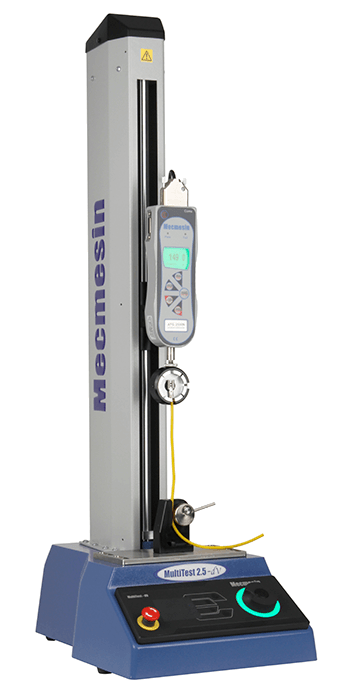 International test standards generally stipulate that terminals must be pulled to destruction at a uniform pull speed of between 25 to 50 mm/min, which requires the use of a motorised test system. The WTST-dV 2.5 kN ensures that these requirements are met, providing high accuracy with repeatability and reliability of results. Peak pull-off loads are measured using the Advanced Force Gauge (AFG) available in 10 capacities to suit AWG sizes from 4 to 40. Gauge load accuracy: ±0.1% f.s. maintain user accounts for security and operator identification.